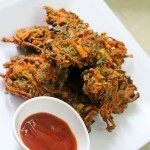 Healthy fritters recipe made using chopped methi leaves and besan. Wash methi leaves and add them into a bowl. Into it, add finely sliced onion. Into it add chick pea flour and rice flour. Add salt, red chilli powder, turmeric powder, coriander seeds powder, carom seeds, pinch of baking soda. Add oil and mix all the ingredients well. 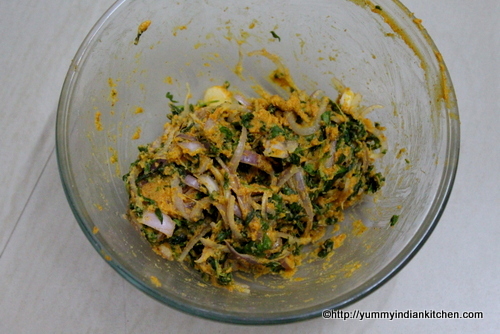 Washed methi leaves already leaves its water and therefore, batter can be mixed easily. If required just sprinkle few drops of water and mix the batter. Take a portion of the batter in your fingers, press or flatten the batter with fingers and drop in oil. 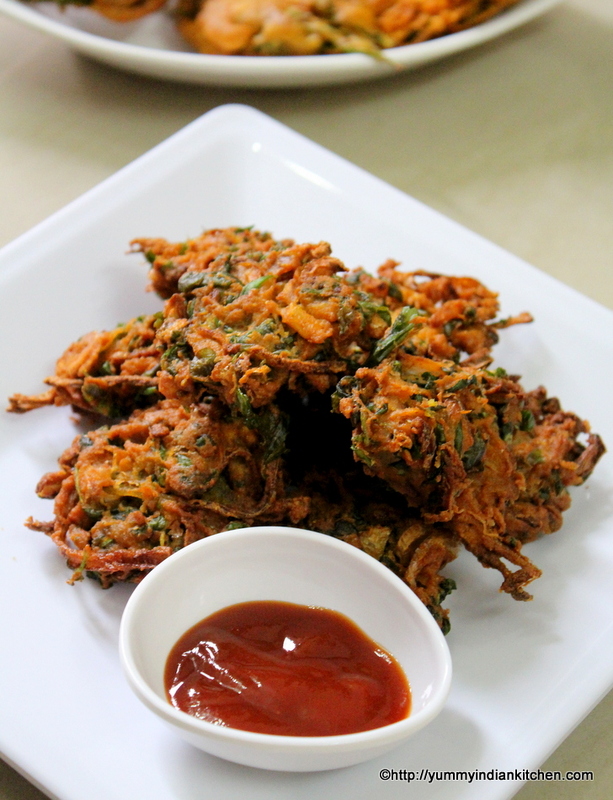 Similarly drop the rest of the pakodas batter into the oil. 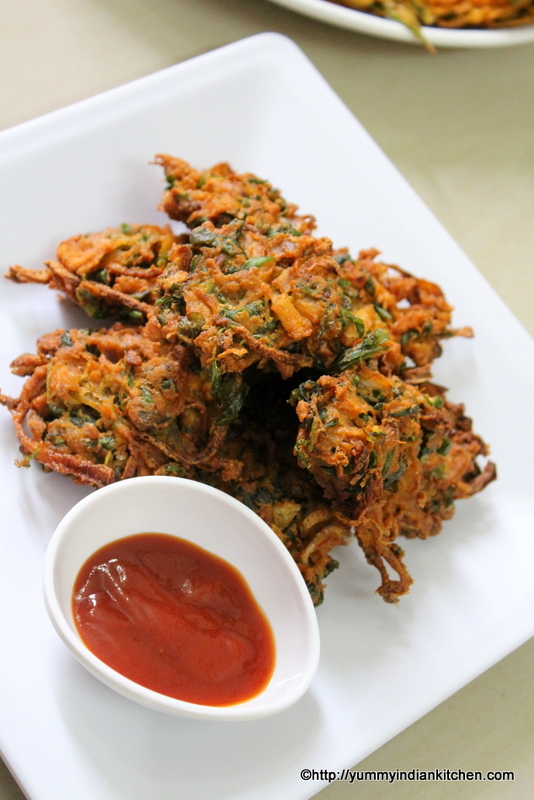 Deep fry the methi pakodas on low flame until they turn golden color on all sides. Serve hot with chutney, dips or ketchup!!! A healthy and tasty snack! !